Maids are full or part time cleaning professionals who are responsible for cleaning and maintaining an area in a workplace, or a private home. Private home maids work under the supervision of a household manager. There is no formal education for this job position, but some experience may be required, depending on the employer. Our most demanded services are maid, domestic help and other related services. 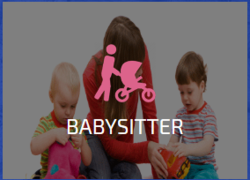 We have a delighted customer base for domestic help domain, we are engaged in providing the services by skilled and experienced team of professionals with utmost perfection. In addition, we have all amenities to provide housemaid at industry leading rates. Timemytask's Cooking, cleaning and laundry services! We are committed to provide hassle free Cleaning, Cooking and Laundry services for Domestic and Corporate needs. 1. All our workers will be well dressed, trained and their identity is properly verified by police. Maids are selected after an in-depth round of interviews as well as background checks. After selection, candidates are required to undergo a comprehensive medical checkup at a Middle East Government approved medical testing center. We are providing skilled Cook Services. Our cook is well versed with nuances of multi Cuisuine cooking like Indian. Continental, Chinese and many more. They emphasize more on hygiene and health. Our cooks also maintain well ordered kitchen and limit wastage of resources. You can easily entrust all your kitchen material to these cooks and enjoy a sumptuous delicacy whenever you want. We bring forth vast industrial experience and expertise in this business, instrumental in providing Maid Service.